Video: Palace Skateboards presents "Powers Surge"
This week Palace dropped the first dedicated part for newest recruit Shawn Powers, suitably titled Powers Surge. 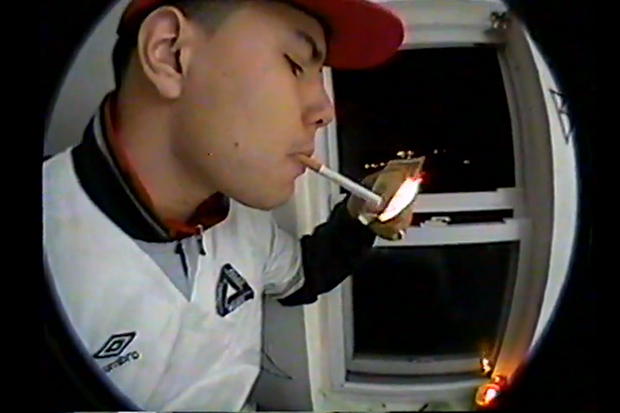 The video has already clocked up over 45,000 views and is a sure sign that Palace aren’t slowing down any time soon. The six and a half minute edit features Powers tearing around the streets of his native New York, filmed in typical lo-fi Palace fashion. His style seems an apt fit for the Palace roster – laid-back and inventive with a little bit of attitude and plenty of steez. With every new video and release, Palace continue to exert their dominance in the field, and are without a doubt one of (if not the) most important UK brand right now. A mention in this year’s All Gone book and two number 1 spots in our 2012 The Daily Street Awards are just a couple of points to highlight that. Stay up to date at Palace Skateboards.